Screaming Power is pleased to announce that it has been approved by Toronto Hydro and Oakville Hydro as a qualified OPsaver Consultant. The OPsaver program encourages Continuous Energy Improvement through operational changes and incentives. The program is suited for larger buildings situated within Toronto Hydro’s service area that have already invested in energy-efficient technology. OPsaver shifts the focus to building operational excellence through employee engagement and process improvement. Screaming Power’s consulting service along with its mobile information system helps customers identify and implement long-term operational improvements. Screaming Power’s machine-learning technology ensures accuracy and smooth information integration. Mobility connects users with key operational data and promotes education and information sharing. Screaming Power provides a Continuous Energy Improvement plan, resources and mobility toolset that manages and tracks building and energy information over a multi-year time horizon to support a culture of efficiency and corporate sustainability. 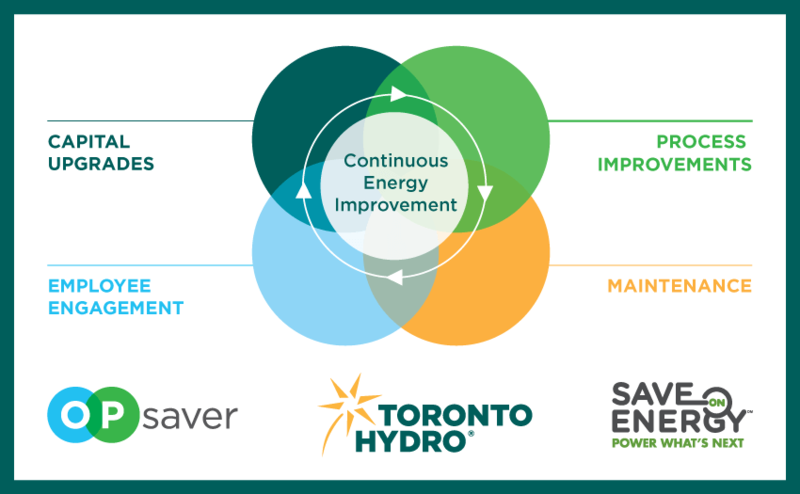 Toronto Hydro’s OPsaver program provides financial assistance to offset the cost of the OPsaver consultant to guide the process and support the energy user. Screaming Power’s mobile tools and cloud solution automates processes to help the customer meet public, corporate and regulatory reporting requirements for energy usage and Greenhouse Gas (GHG) compliance. With the OPsaver Program consulting costs can be offset up to 100%. The programs continuous improvement approach provides long-term incentives that equate to $0.25 for every kWh saved. Screaming Power looks to work with large building owners and other OPsaver consultants to help achieve energy savings and GHG reduction for a more sustainable future.